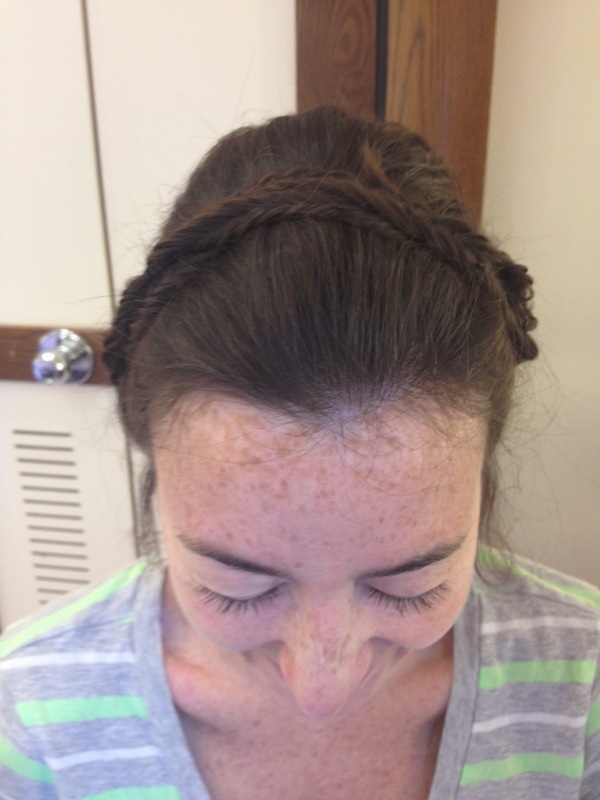 A few years ago, the fancy pants John Barrett Salon began offering braiding and ponytail services. I always thought it would be a great way to do something different before a formal event and a great way to make something like a simple LBD stand out and command attention. The problem was I didn’t have too many local events that call for fun hairdos. 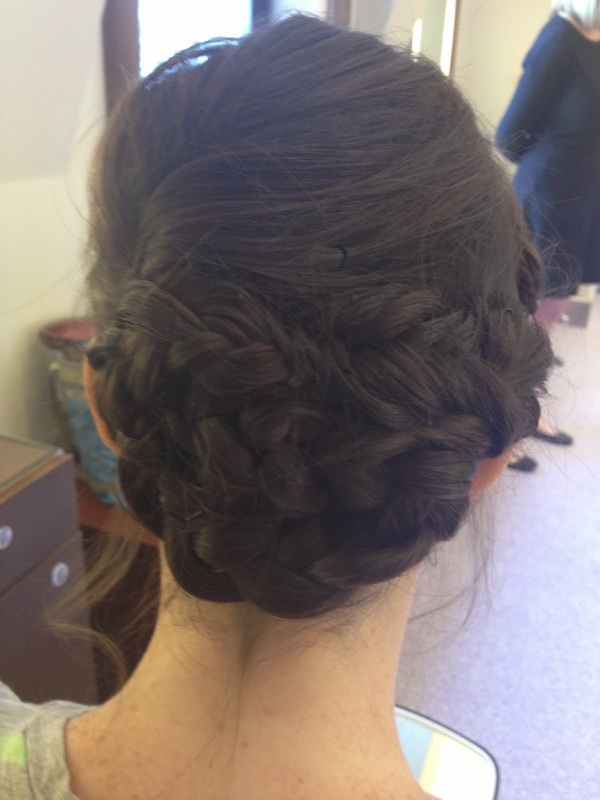 As a Southerner, most of the weddings I attend are out of town and the weddings that have actually been in the city are ones I was in and therefore had no control over my hairstyle. Since I don’t have too many any red carpet events, I figured this wasn’t going to happen and I would just end up always wearing my hair down. Boring! Just before starting this list, I went to John Barrett for a blowout courtesy of a friend. 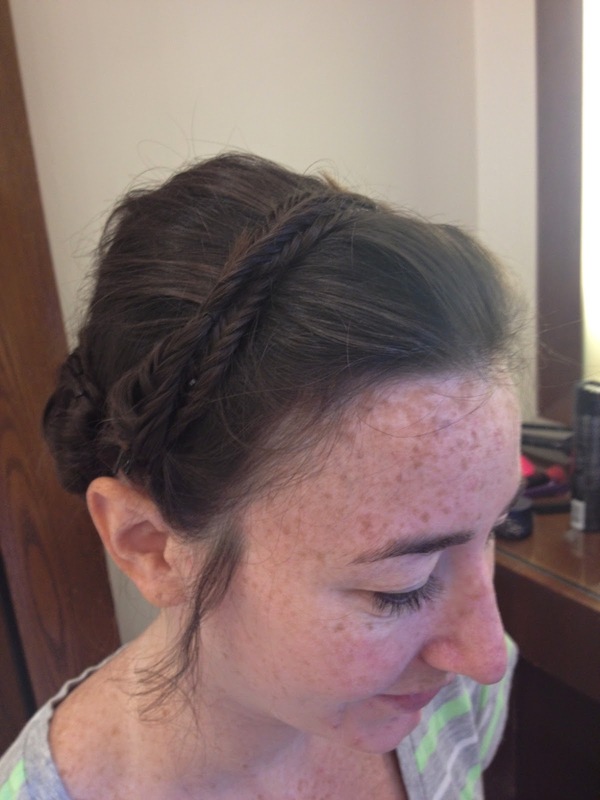 Though I knew I probably would not have the opportunity to ever utilize the service, I was still curious about the braid bar and started asking questions. The receptionist told me that as long as I came to the salon with my hair already washed and dried the price was a set $50. No matter what. $50 for a basic side braid. $50 for a milkmaid style updo. $50. That’s just $10 more than a blowout from Drybar, which people must think is cheap based on Drybar’s rapid expansion across the country. And it can be way more intricate than a blowout! How this exists in such an expensive salon, I don’t know, but when I realized a fun hairdo was well within my price range, I decided I had to get this done, even if it meant creating an event just so I could get my hair done. As luck would have it, I was not attending the rehearsal dinner for one of the weddings Albert and I had on the calendar and would be taking the train to Connecticut day-of. This was my perfect chance! I woke up on Saturday with a few ideas in mind but nothing set in stone. The salon had an inspiration book that I flipped through as I spoke with the stylist about the kind of look I wanted. If I’m going to be geting my hair done, I wanted to make the most of that $50 and wear it up because weddings are the few times you can get away with an updo (also I didn’t want anything falling flat in transit). I knew I didn’t want it too tight or “done” because I didn’t want to look like I was trying to be in the bridal party. I had never had a fishtail braid so I said I’d like to incorporate that into the look, perhaps in the crown style, which I was gravitating toward. I told the stylist I trusted her and to just do what she thought would look best with my hair type. She totally got me. Sue, the stylist, was incredible. She created the whole phenomenal look in 20-25 minutes. She understood that I wanted something slightly bohemian but needed structure so it would last all night. Honestly, this could have lasted the whole next day, too. It looked totally light and free, without a pin in sight, but I found out the next morning that there was enough hairspray and about 40 bobby pins holding it all in place. If we weren’t going to a cookout with all the other wedding guests on Sunday, I totally would have worn the hair again with a maxi skirt for a totally different look. 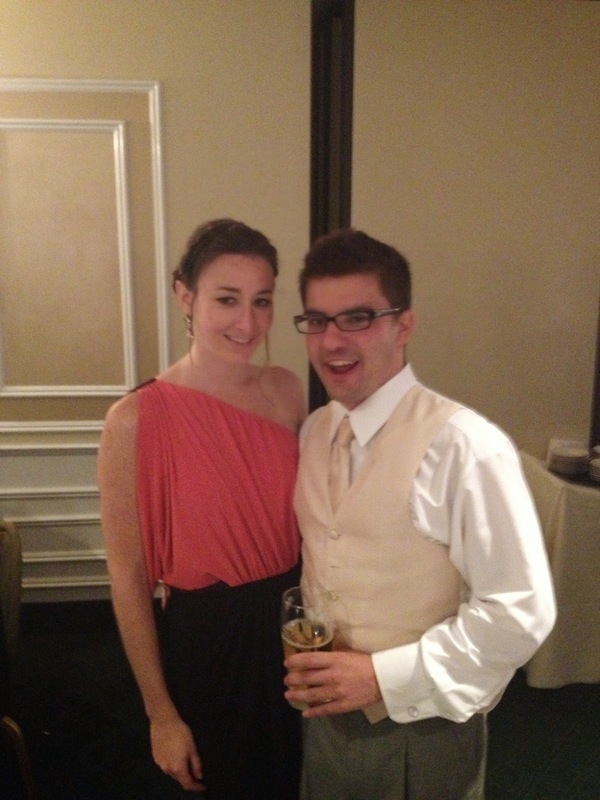 I loved how my hair looked so much that I may still just create an event so I have an excuse to do this again. Also, a thanks to John Barrett Salon for setting me up with complimentary makeup touch-up upon realizing that I was heading to an event. My eyes looked fabulous!